Huawei Enjoy 9S with a triple rear camera setup has been officially unveiled in China. The Enjoy 9S is powered by Huawei’s HiSilicon Kirin 710 SoC. 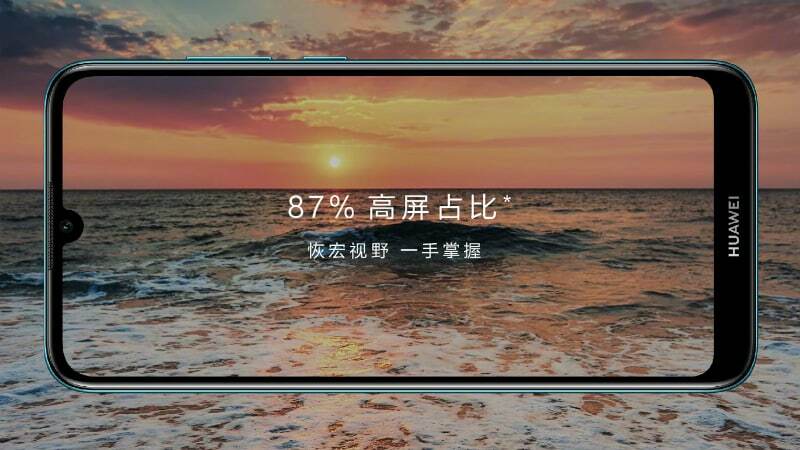 Huawei has also brought the Enjoy 9e smartphone with an 87 percent screen-to-body ratio and a 13-megapixel primary camera. The Enjoy 9e also comes with Huawei’s proprietary SuperSound audio technology. Additionally, the Chinese company has unveiled the Tablet M5 Youth Edition with GPU Turbo 2.0, up to 4GB of RAM, and 128GB of inbuilt storage. Both Huawei Enjoy 9S and Tablet M5 Youth Edition will be available for pre-orders starting today. The Huawei Enjoy 9S price in China has been set at CNY 1,499 (roughly Rs. 15,400) for the 4GB RAM/ 64GB storage option, while its 128GB storage model comes at CNY 1,699 (roughly Rs. 17,400). The phone comes in Coral Red, Magic Night Black, and Aurora Blue variants. The Blue variant sports a gradient finish. The phone will go on pre-orders starting today. In contrast, the Huawei Enjoy 9e price has been set at just CNY 999 (roughly Rs. 10,300) for the lone 3GB RAM/ 64GB storage model. It will be available for pre-orders in China beginning April 2. The Huawei Tablet M5 Youth Edition has been priced at CNY 1,199 (roughly Rs. 12,300) for the 3GB RAM/ 32GB storage Wi-Fi only model. However, its LTE model with 3GB RAM/ 32GB storage option comes at CNY 1,499 (roughly Rs. 15,400). The Wi-Fi only Tablet M5 Youth Edition with 4GB RAM/ 32GB storage option is priced at CNY 1,399 (roughly Rs. 14,400), while its LTE model carries a price tag of CNY 1,599 (roughly Rs. 16,400). Huawei has also brought the 10-inch Tablet M5 Youth Edition that comes at CNY 2,199 (roughly Rs. 22,600) for 4GB RAM/ 128GB storage, while its LTE variant is priced at CNY 2,399 (roughly Rs. 24,600). The tablet will go on pre-orders in China later today. There is no word on the international availability of any of three Huawei devices right now. The dual-SIM (Nano) Huawei Enjoy 9S runs Android 9 Pie with EMUI 9.0 on top. The phone features a 6.21-inch full-HD+ (1080×2340 pixels) display along with an 89 percent screen-to-body ratio, and a waterdrop-style notch. Under the hood, the Enjoy 9S has a HiSilicon Kirin 910 SoC, paired with 4GB of RAM. For photos and videos, the Huawei Enjoy 9S packs a triple rear camera setup along with a 24-megapixel primary sensor with an f/1.8 lens, 16-megapixel secondary sensor sporting a 117-degree of wide-angle lens, and a 2-megapixel depth sensor. The phone also comes with Huawei’s Artificial Image Stabilisation (AIS) and 480 fps super slow-motion video support. Also, there is an AI-based scene recognition support that is touted to recognise over 500 scenes. For selfies, there is an 8-megapixel sensor at the front with a number of AI enhancements. The Huawei Enjoy 9S has 64GB and 128GB of onboard storage options, both of which are expandable via microSD card (up to 512GB). Connectivity options on the phone include 4G VoLTE, Wi-Fi 802.11ac, Bluetooth v4.2, GPS/ A-GPS, Micro-USB, and 3.5mm headphone jack. The phone also features a fingerprint sensor at the back. Besides, the phone packs a 3,400mAh battery. Similar to the Enjoy 9S, the Huawei Enjoy 9e runs Android Pie with EMUI 9.0 on top. The phone also comes with a 6.09-inch HD+ (720×1560 pixels) display along with a waterdrop-style notch design, and 87 percent of screen-to-body ratio. The phone is powered by a 12nm SoC that is clocked at 2.3GHz. The phone also packs 3GB of RAM. The Huawei Enjoy 9e sports a 13-megapixel primary sensor along with an f/1.8 lens and HDR support. There is also an 8-megapixel sensor at the front along with an f/2.0 lens. On the storage front, the Huawei Enjoy 9e features 64GB of inbuilt storage that is expandable via microSD card (up to 512GB). The phone comes with Huawei’s SuperSound audio technology that is touted to enhance the sound output. There is also FM radio onboard. Coming to the Huawei Tablet M5 Youth Edition, the tablet comes in 8-inch and 10-inch screen sizes. It is powered by a HiSilicon Kirin 710 SoC along with GPU Turbo 2.0, paired with 3GB and 4GB RAM options. 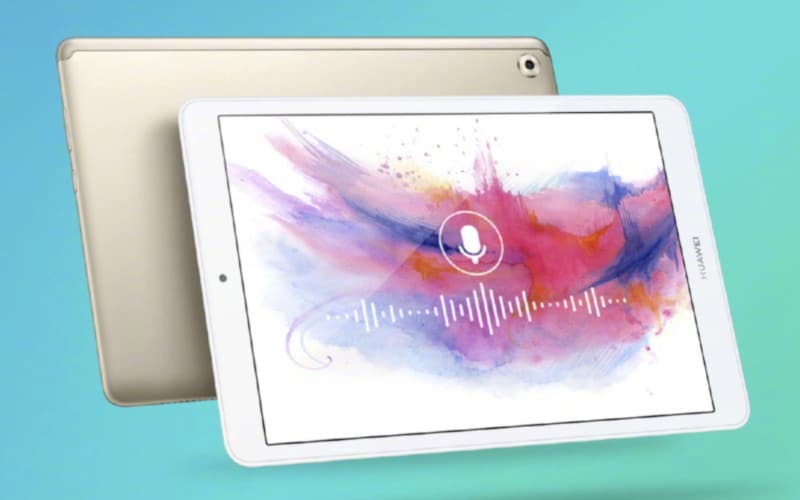 The Huawei Tablet M5 Youth Edition packs a 5,100mAh battery that is touted to deliver 62 hours of music playback on a single charge. It will be sold in both Wi-Fi only and Wi-Fi + LTE variants.